"Imagine, Michael Chorost proposes, that four police officers on a drug raid are connected mentally in a way that allows them to sense what their colleagues are seeing and feeling. 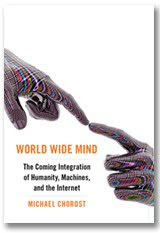 ...That scene, from his new book, 'World Wide Mind,' is an example of what Mr. Chorost sees as 'the coming integration of humanity, machines, and the Internet.” The prediction is conceptually feasible, he tells us, something that technology does not yet permit but that breaks no known physical laws.'" 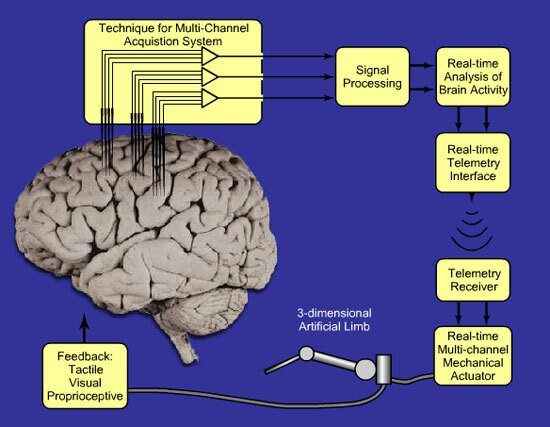 Michael Chorost's blog Cyborg Thoughts is here. "When New York artist Wafaa Bilal visited Toronto recently, he got together with inventor Steve Mann to compare notes on mounting cameras on their heads. Then they jumped into Mann’s hot tub to play some music. 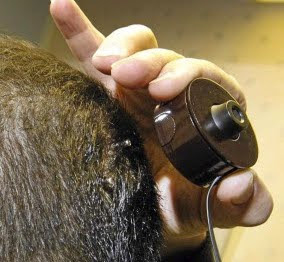 Bilal, an Iraqi who has lived in the United States since 1991, is a performance artist who hopes to spend 2011 streaming photographs from the camera he had surgically implanted in the back of his head. Snapshots of his apartment and the streets, cafés and shops he frequents show up in batches on his website, with black blanks indicating places where he has not received permission to shoot, including New York University, where he teaches art. Mann, an artist, musician and engineering professor at the University of Toronto who mounted a camera on his own head back in the 1990s, could be called the godfather of cyborg art, the inspiration for artists such as Bilal to consider how they might fuse their bodies and technology." Punknews.org | Pete Wentz to launch comic book series: "Like Gerard Way of My Chemical Romance, Fall Out Boy bassist Pete Wentz apparently has the desire to get involved with comic books and will be releasing a new series through Image Comics (Spawn, Youngblood, The Maxx) in the fall, reports MTV. 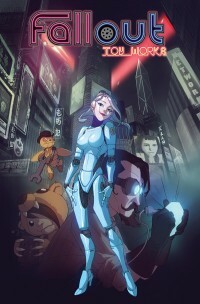 The story will be called Fall Out Toyworks and will be a five-issue minseries based on a mysterious toymaker, a cyborg named Tiffany and a kid in a bear suit. The first issue is due out September 2, 2009. You can click Read More for the cover art." 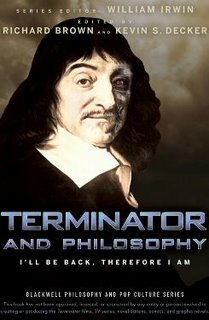 In each title, American and foreign academics write essays that use the philosophies of heavy hitters such as Nietzsche and Plato to answer the big questions raised by movies, TV shows, rock bands and video games." LOS ANGELES - (Business Wire) Filmmakers Barry and Felicia Ptolemy (Ptolemaic Productions) along with partners (Therapy Studios) make their festival debut at the 2009 Tribeca Film Festival (April 22-May 3, 2009) with TRANSCENDENT MAN, which makes its world premiere in the World Documentary Feature Competition on April 25. No distributor is attached at this time. See below for premiere screening details. The compelling feature-length documentary film--a first for Director Barry Ptolemy--chronicles the life and controversial ideas of luminary Ray Kurzweil. For more than three decades, inventor, futurist, and NY Times best-selling author Ray Kurzweil has been one of the most respected and provocative advocates of the role of technology in our future. In TRANSCENDENT MAN, Ptolemy follows Kurzweil around the globe as he presents the daring arguments from his best-selling book, The Singularity is Near: When Humans Transcend Biology. Kurzweil predicts that with the ever-accelerating rate of technological change, humanity is fast approaching an era in which our intelligence will become increasingly non-biological and trillions of times more powerful than today. This will be the dawning of a new civilization that will enable us to transcend our biological limitations. In Kurzweil’s post-biological world, there will be no clear distinction between human and machine, real reality and virtual reality. Human aging and illness will be reversed, world hunger and poverty will be solved, and we will ultimately cure death. ...Ptolemy expertly explores the social and philosophical implications of these profound changes and the potential threats they pose to human civilization in dialogues with world leaders such as Colin Powell; technologists Hugo de Garis, Peter Diamandis, Kevin Warwick, and Dean Kamen; journalists Kevin Kelly and Tom Abate; and luminary Stevie Wonder. Kurzweil himself maintains a radically optimistic view of the future course of human development, while acknowledging new dangers. As such, TRANSCENDENT MAN offers a view of the coming age that is both a dramatic culmination of centuries of technological ingenuity and a genuinely inspiring vision of our ultimate destiny. Wired.com has an interesting debate on creating designer babies. What I find interesting is the brief quotation in the introduction: the technology will, in a commercial world, get away from any ideals the creator of the technology might have had in mind. 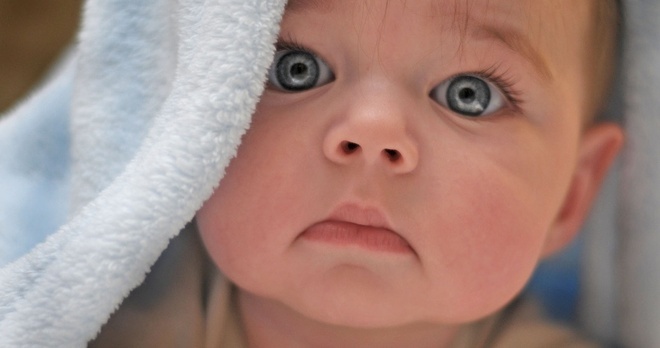 "When a Los Angeles fertility clinic offered last month to let parents choose their kids' hair and eye color, public outrage followed. On March 2, the clinic shut the program down — and that, says transhumanist author James Hughes, is a shame. DVICE: Brain-machine interface today, cyborgs tomorrow: "While prosthetic limbs are common, real cyborgs remain in the realm of science fiction. That's because the trickiest part — creating a reliable brain-machine interface (BMI) — is a tough job, since we don't fully understand how the brain works. One man on the case, however, is Miguel Nicolelis, who's developed a chip that lets human brains communicate directly with robotic limbs, whether they're in the same room or on the other side of the world." "Chemists at New York University and China's Nanjing University have developed a two-armed nanorobotic device that can manipulate molecules within a device built from DNA. The device was described recently in the journal Nature Nanotechnology. "'The aim of nanotechnology is to put specific atomic and molecular species where we want them and when we want them there,' said NYU Chemistry Professor Nadrian Seeman, one of the co-authors. 'This is a programmable unit that allows researchers to capture and maneuver patterns on a scale that is unprecedented.'" 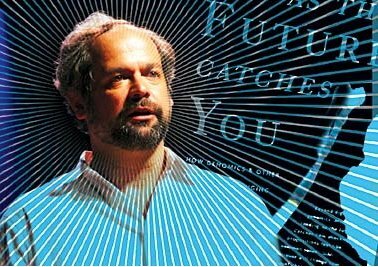 "The new, two-armed device employs DNA origami, a method unveiled in 2006 that uses a few hundred short DNA strands to direct a very long DNA strand to form structures that adopt any desired shape. ..."
"As with Seeman's previous creation, the two-armed nanorobotic device enables the creation of new DNA structures, thereby potentially serving as a factory for assembling the building blocks of new materials. With this capability, it has the potential to develop new synthetic fibers, advance the encryption of information, and improve DNA-scaffolded computer assembly." Since 1992, BBC Archives and BBC Video have been funding the restoration Dr Who episodes for transmission and video release. 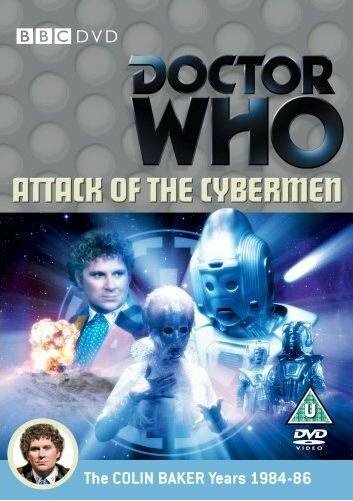 Commentary with actors Colin Baker, Nicola Bryant, Terry Molloy and Sarah Berger. The Cold War (dur. 27' 26") - cast and crew look back at the making of the story in this documentary from John Kelly. With actors Colin Baker, Nicola Bryant, Terry Molloy and Sarah Berger, writer Eric Saward, director Matthew Robinson, continuity advisor Ian Levine and film cameraman Godfrey Johnson. Narrated by Stephen Greif. The Cyber Story (dur. 22' 49") - Brendan Sheppard gives us a brief history of the Cybermen in the classic series. With director Morris Barry, writer Eric Saward, costume designers Sandra Reid and Dinah Collins, Cyberman actor Mark Hardy, voice artiste Roy Skelton and Professor Kevin 'Human Cyborg' Warwick. Human Cyborg (dur. 8' 07") - an interview with Professor Kevin Warwick, who has used himself as a human guinea pig for cybernetic implant experimentation. The Cyber-Generations (dur. 7' 48") - a gallery of Cyberman through the history of the series, set to music from their stories. Trails and Continuity (dur. 3' 09") - BBC1 trails and continuity announcements from the story's first transmission. Isolated Score - option to view the episodes with isolated music soundtrack. PDF Material - Radio Times listings for 'Attack of the Cybermen' and 'The Invasion' (previously missed from that story's DVD release), plus a 1969 article from 'The Listener' magazine by Cyberman co-creator Kit Pedler in Adobe pdf format for viewing on PC or Mac. Plus of course the usual Programme Subtitles, Subtitle Production Notes and Photo Gallery. If it is true that, as theorist Sherry Turkle has claimed, that in our increasingly mediated world "we are all dreaming cyborg dreams," it is certainly safe to say that at least some of these dreams are religious ones. 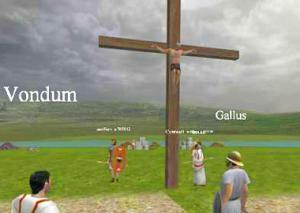 In this essay, I look at four types of immersive new media that address the issue of religious identity: Waco Resurrection, a religiously-inspired first-person shooter, Noah’s Ark, a religious online reality show; Roma Victor, a massive multiplayer online role-playing game, and religious experiences in the online world of Second Life. In each of these examples, the level of immersion in online identity plays a very powerful role in shaping the authenticity of religious experience, as channeled through those digital representations of self that virtual natives call their avatars. From the OED: Speciation "is the formation of new and distinct species in the course of evolution," and "involves the splitting of a single evolutionary lineage into two or more genetically independent ones" (Nature 21 Sept. 255/1). The question I always have about these predictions of the technologically-induced evolution of humankind, which have been ongoing since the sixties, is how the modification of individuals—whether the recipients of tendons grown in the lab through new processes of tissue engineering, to note one of Enriquez's examples, or even genetic manipulation, can possibly be seen as species evolution? These are not inherited traits of an entire population; they're body modifications of insignificant individuals (by which I mean they will have no significant influence on genetics of the population).